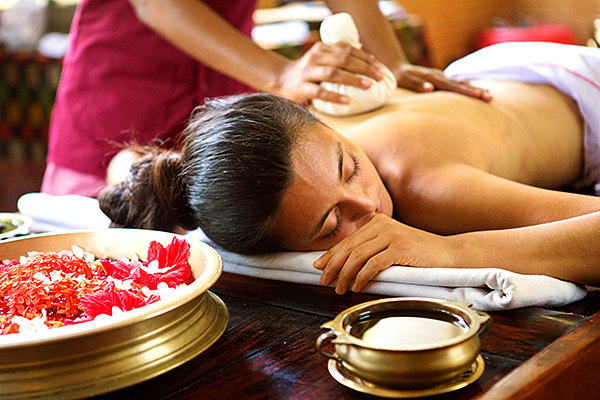 Panchakarma takes you on a unique journey into a mind-body healing experience for detoxifying the body, strengthening the immune system, and restoring balance and wellbeing through five therapeutic treatments in a pure, spiritual, yogic environment. Participants also follow the ashram’s daily schedule. In the stressful environments in which many of us now live, toxins gradually accumulate in the body causing disease. The miraculous human body is capable of constantly renewing and rejuvenating itself. However when imbalance and weakened digestive capacity allow toxic impurities to form, this natural ability of the body is blocked. Panchakarma in the Ashram is a unique opportunity to cleanse in a yogic environment, connect with the body, mind and soul while benefiting from the Ashram daily programme of yoga classes, meditation sessions and more. In addition to the Panchakarma treatment, you will receive a full health check with blood profile, a doctor’s daily review and talks on Ayurveda. Dietary, medicinal and massage requirements are modified as required. In just two weeks this powerful therapy will leave your body younger, stronger and free from chronic ailments and your mind calm, stress-free and relaxed. Dr. P.R. Vishnu is a resident doctor at the Sivananda Yoga Vedanta Dhanwanthari Ashram in Kerala (Sivananda Institute of Health). He oversees and teaches Ayurvedic Wellness Courses and Abhyanga Massage Courses and conducts Panchakarma Detoxification programmes. He is also a consulting doctor and coordinator of the Sivananda Medical Camp Program. The program offers free Ayurvedic medical services for the local community, and provides treatment to 1,000 patients per month. In the stressful environments in which many of us now live, toxins gradually accumulate in the body causing disease. The miraculous human body is capable of constantly renewing and rejuvenating itself. However when imbalance and weakened digestive capacity allow toxic impurities to form, this natural ability of the body is blocked. Panchakarma in the Ashram is a unique opportunity to cleanse in a yogic environment, connect with the body, mind and soul while benefiting from the Ashram daily programme of yoga classes, meditation sessions and more. In addition to the Panchakarma treatment, you will receive a full health check with blood profile, a doctor’s daily review and talks on Ayurveda. Dietary, medicinal and massage requirements are modified as required. In just two weeks this powerful therapy will leave your body younger, stronger and free from chronic ailments and your mind calm, stress-free and relaxed. This treatment is available all year-round.